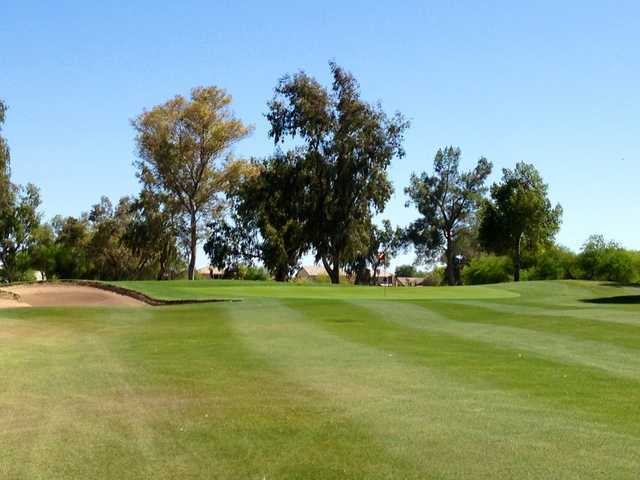 Las Colinas Golf Club in Queen Creek is a popular destination among both locals and tourists for its affordable rates and interesting layout. The unique landscape of mature trees and native grasses and plants creates an inviting golf course with natural challenges. The golf course features several unforgettable holes, including two lakeside holes and a par-5 dogleg with a scenic mountain backdrop. Las Colinas Golf Club's greens are separated by desert washes, giving golfers a glimpse at local fauna. We had a great time,the weather was a littelcold,but the course was in great shape.